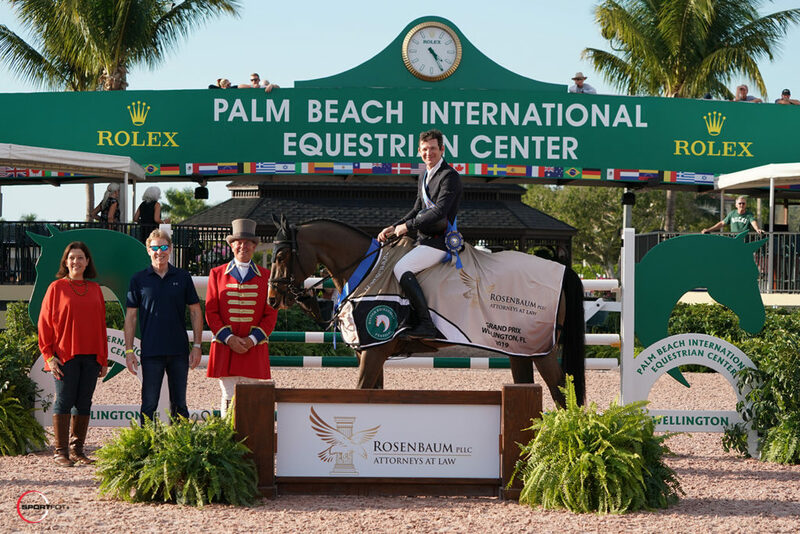 Wellington, FL – January 13, 2019 – The first week of the 2019 Winter Equestrian Festival (WEF) concluded competition on Sunday, January 13, with the $75,000 Rosenbaum PLLC Grand Prix at the Palm Beach International Equestrian Center. 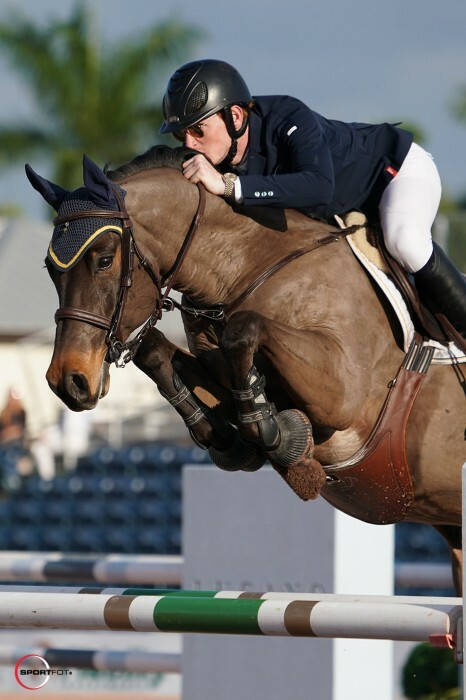 Beat Mändli (SUI) and Simba, owned by Grant Road Partners LLC, flew to the win of the first grand prix of the season. 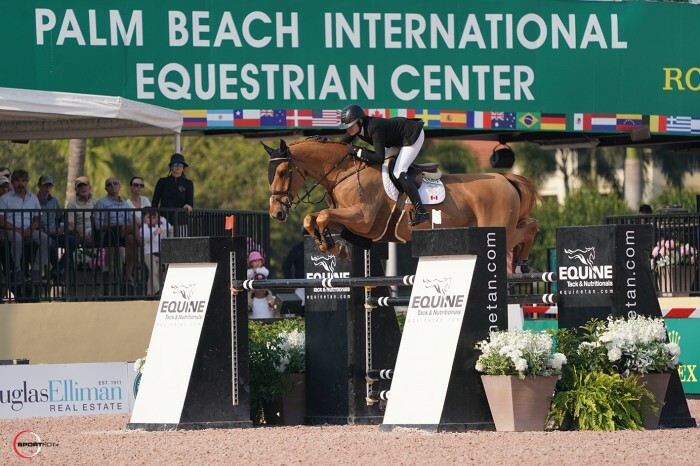 The 12 weeks of WEF continues with week two, sponsored by NetJets, on January 16-20, featuring the $72,000 NetJets Grand Prix CSI 2* on Saturday, January 19. Beat Mandli and Simba in their presentation ceremony. Presenting for Rosenbaum PLLC is Daniel S. Rosenbaum, Managing Shareholder and Shareholder Tatiana Yaques.